From adorable Shih Tzus to pretty golden retrievers! (SPOT.ph) Social media is like that little window into the world of showbiz, whether it's a fancy red carpet event or a glamorous photoshoot on a magazine cover. Other times, your favorite celebrities like to document more low-key days, such as snapshots of their equally famous furry friends. Here are 10 local celebs who aren't afraid to show their adorable pets some IG love. Anne Curtis' exotic Shorthair named Mogwai is so popular that she has her own avid fanbase (she even has her own Instagram account). Anne's love for animals isn't just limited to her popular cat: she also has a Yorkshire terrier named Princess, a Chihuahua named Bella, and a canary named Birdy. 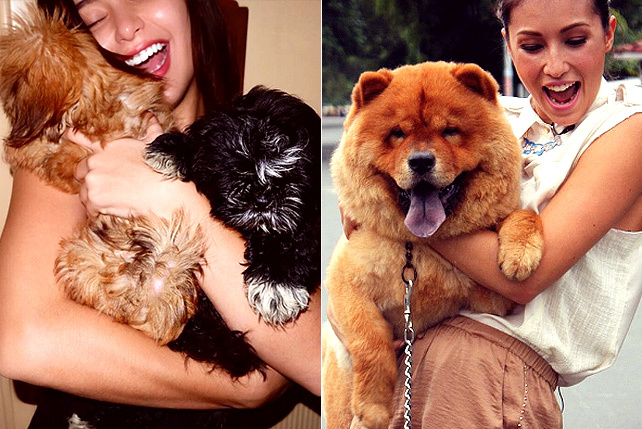 Solenn Heussaff has had her pet Chow Chow named Spencer since 2011. Five years later, and her little puppy has grown into a massive size. She still calls him her baby bear, though! Yassi Pressman, a self-confessed "crazy dog lover," has plenty of furry friends to keep her company, including her adorable dogs Riri, Raven, and Rocket! Before JaDine went from reel to real, James Reid gifted his leading lady with a teacup Maltese puppy that they named Clarky Boy (after his character from OTWOL). She also has three other pets, including a Chihuahua named Uno and a black cat named Raven. Whether it's on Instagram or Snapchat, Nikki Gil happily shares snapshots and videos of her gorgeous golden retriever, Charlie. On Valentine's Day, Enrique Gil surprised his love team partner, Liza Soberano, with an adorable Shih Tzu puppy named Mickey. Siblings Daniel and Vanessa Matsunaga are avid dog lovers; in fact, most of their dogs are Alaskan Malamutes! Although Megan Young played Marimar who was famously a dog lover, this beauty queen is a cat lady through and through. She owns three cats: Lucky, Salem, and Kira. Teen Queen Kathryn Bernardo is the proud mom to two dogs: Cloud, a golden retriever, and Snow, a white Bichon Frise from her love team partner, Daniel Padilla. 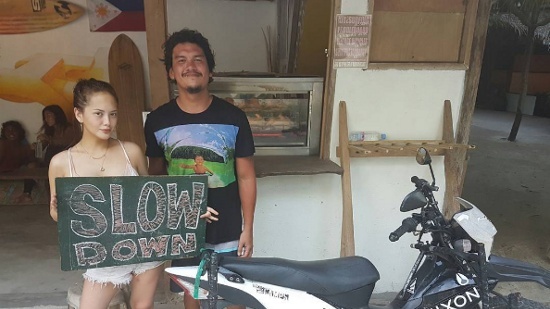 Are Ellen Adarna and Baste Duterte an item?